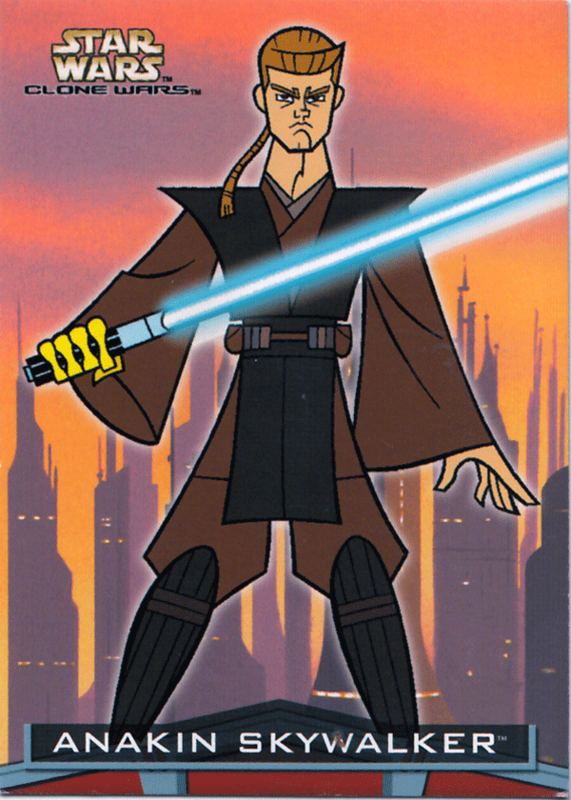 Not to be confused with the 2008 CGI clone wars TV series that ran for 6 seasons and spanned 121 episodes, the 2004 Topps Star Wars Clone Wars set is based on the 2003 animated series that ran for 3 seasons spanning 25 episodes and were relatively short lasting roughly 3 minutes each. While the set focused primarily on the first 10 episodes, it also includes a handful cards promoting Dark Horse Comics. The inclusion of 10 Battle Motion 3d chase cards turned out to be rather interesting as the cards were somewhat transparent. But the sketch cards proved to be challenging for collectors to obtain as each one had a different insert rate ranging from 1:76 packs to 1:1945 packs for a 'Dave Dorman'.